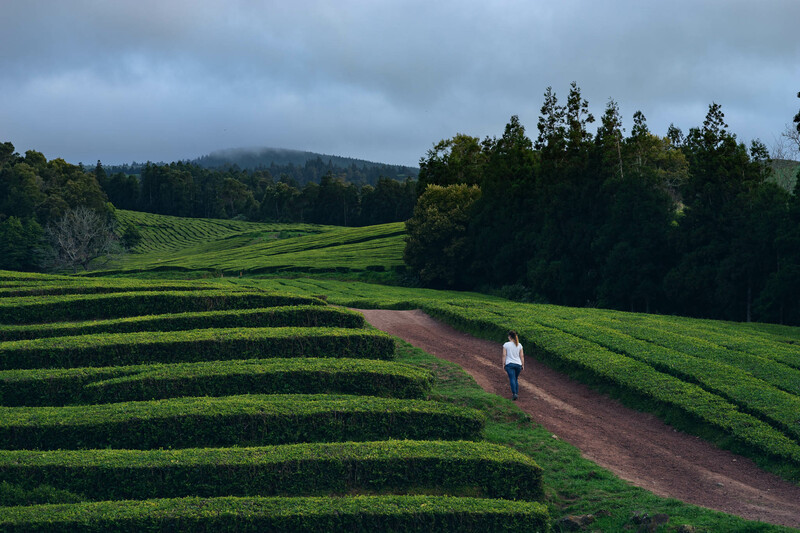 The amazing tea plantation of Chá Gorreana on Sao Miguel, Azores can be visited all day long. The factory itself is only opened during the day, but the fields itself can be visited even outside these hours. 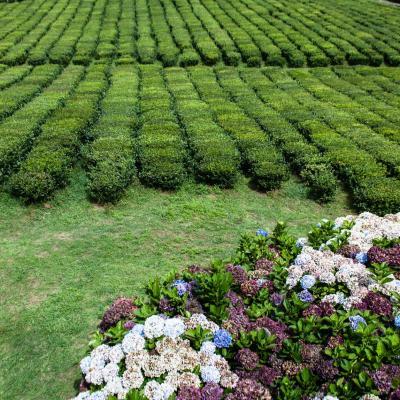 For photographers the early or late hours with no tourists are definitely the best choice, but it's also worth it to visit the factory itself and try their tea for free. They also have a shop where you can buy anything afterwards, but there is no guided tour like in the other smaller tea plantation nearby. During the working hours, there is a pretty big parking space just in front of the factory. Outside these hours, you might even leave your car for a short stay at the entrance. The area is never closed though.